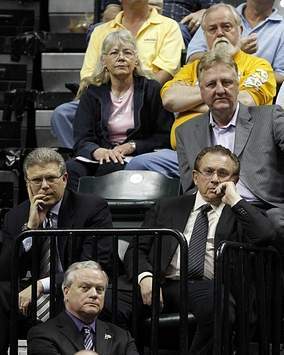 This is a picture from the local newspaper of folks watching Indiana’s professional basketball team’s final game of the season last night. Well, not really watching, because everybody is looking at the camera. The folks are actually the team owner, manager and president, which maybe makes it a little less funny, but not really.